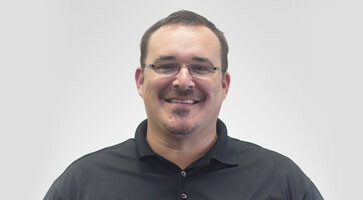 Owner of Master Structural Services, Josh Smith. Master Structural Services is a foundation repair company, located in Knoxville, TN, providing commercial repair services for existing structures as well as end-bearing deep foundations for new construction applications. Foundation settling and shifting can be caused by building a structure on expanding or contracting soil, improperly compacted fill soils, or from poor or erroneous maintenance of the earth around the foundation. Whatever the cause of a settling foundation, this settlement can ruin a building's value and even render it unsafe. We offer quality products, proven services, and professional experience to permanently repair any foundation problem. We always strive to go above-and-beyond their expectations to provide high-quality, long-lasting results. We offer warrantied solutions and a free, no-obligation estimate for all of our foundation repair services. Contact us today to schedule a free foundation repair estimate throughout Kentucky and Tennessee, including Greater Knoxville, Kingsport, Johnson City, Madison, Laurel, Pulaski, and the surrounding areas.